It’s the most _______ time of the year! Insert your word of choice. All of the above? I’ve used each one already and it’s only November 2oth. Today’s focus is on the wonderful aspects of this season. For me right now that is the search for next year’s calendar. While I rely heavily on my iPhone calendar and the fantastic TeuxDeux app for day-to-day scheduling, I find a well-designed calendar is not only handy for a quick date reminder but also a welcomed piece of art. 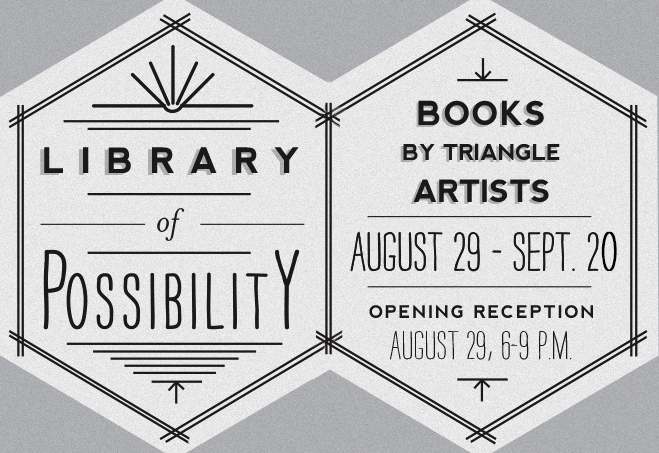 It’s been a tradition to pick up a few from independent artists like pistachio press, ilee papergoods and 1canoe2, for display in high traffic areas. And because they are too gorgeous to just throw away I use them in books of which I go into more detail below. 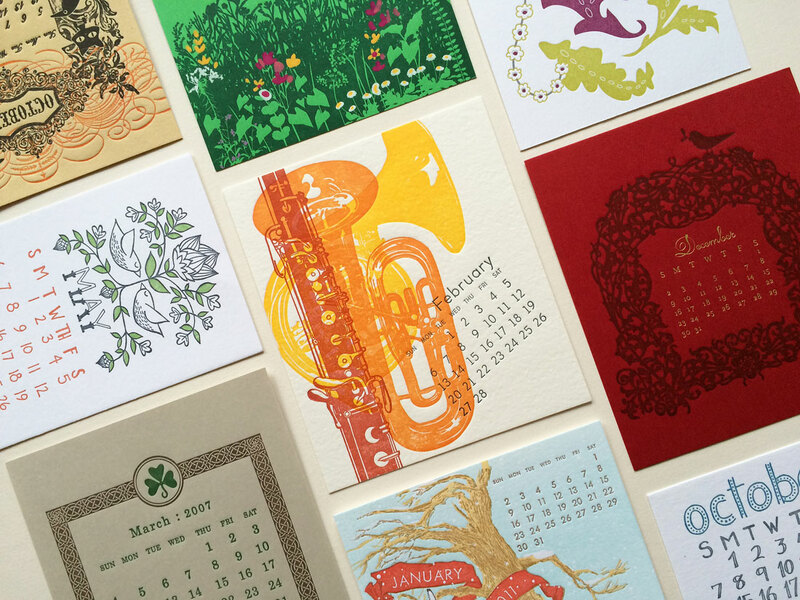 Many calendars have been designed to be used as postcards or enjoyed as a print. I appreciate that kind of thinking and have that in mind when shopping around. I buy with the intention to keep and therefore have amassed quite a collection. Aren’t they gorgeous? 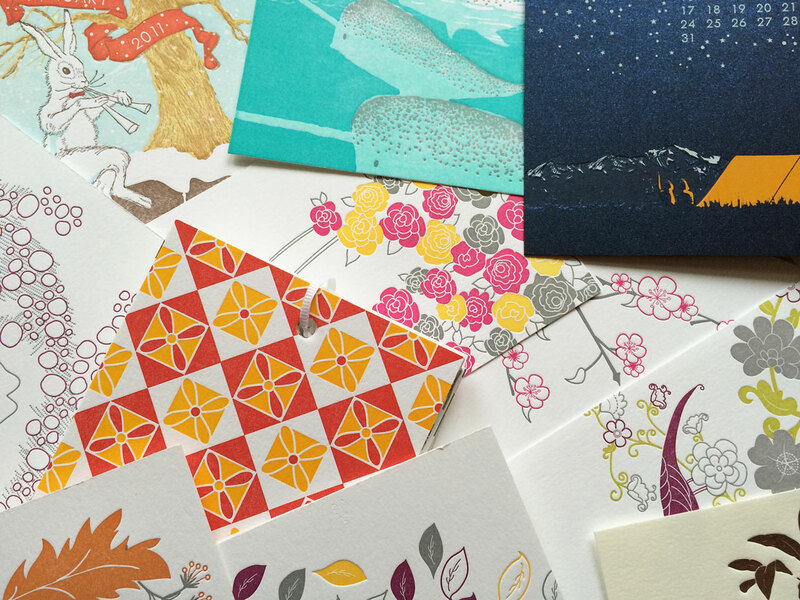 Some designs are not created to be reused as postcards and prints. 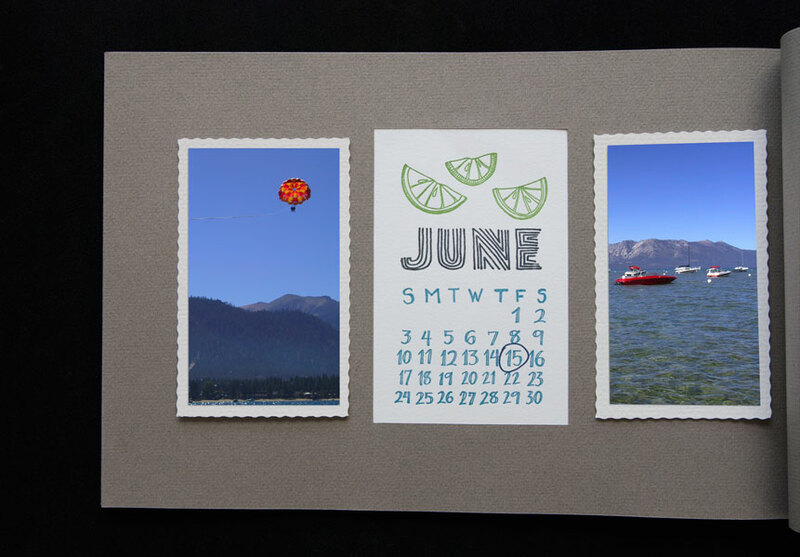 A perfect way to repurpose these types is to incorporate them into a yearly keepsake book. 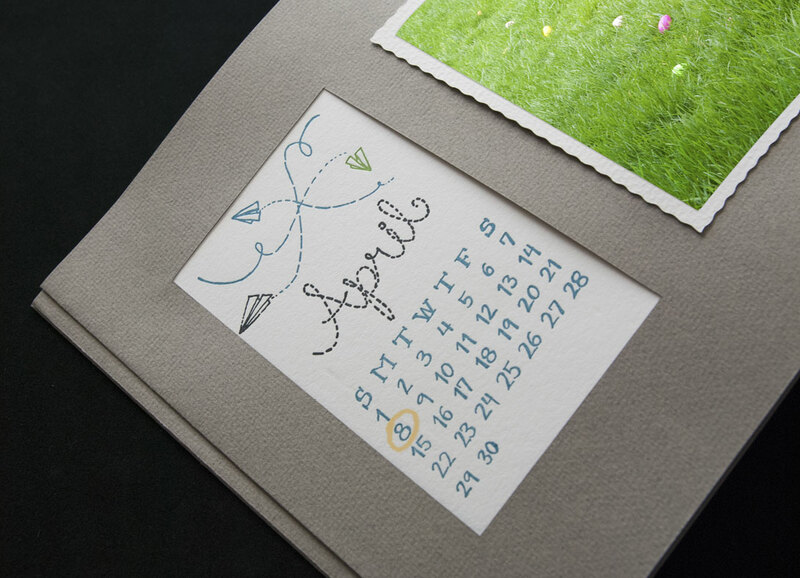 Using your best photos, a caption if you wish, and a circle of the important date, combine to make a keepsake book of your year. Makes a great gift for loved ones as well! 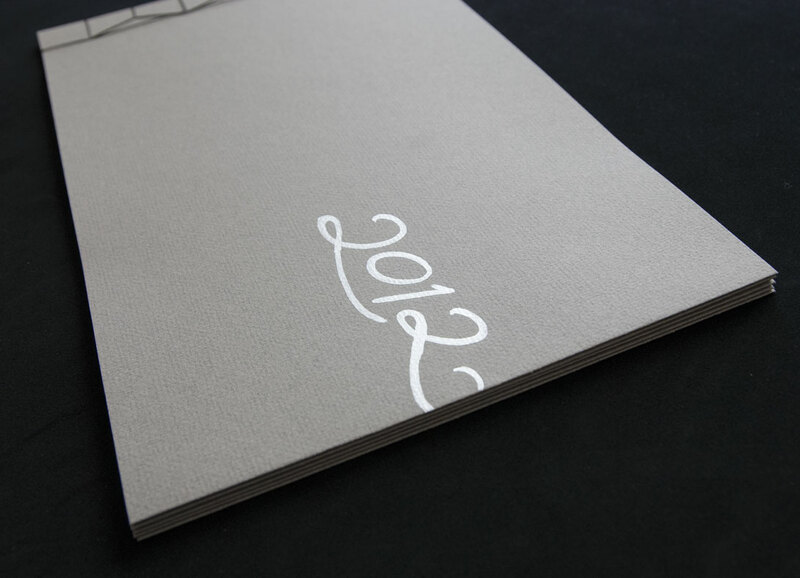 Once you have your photos printed out you can easily complete this project in a weekend. 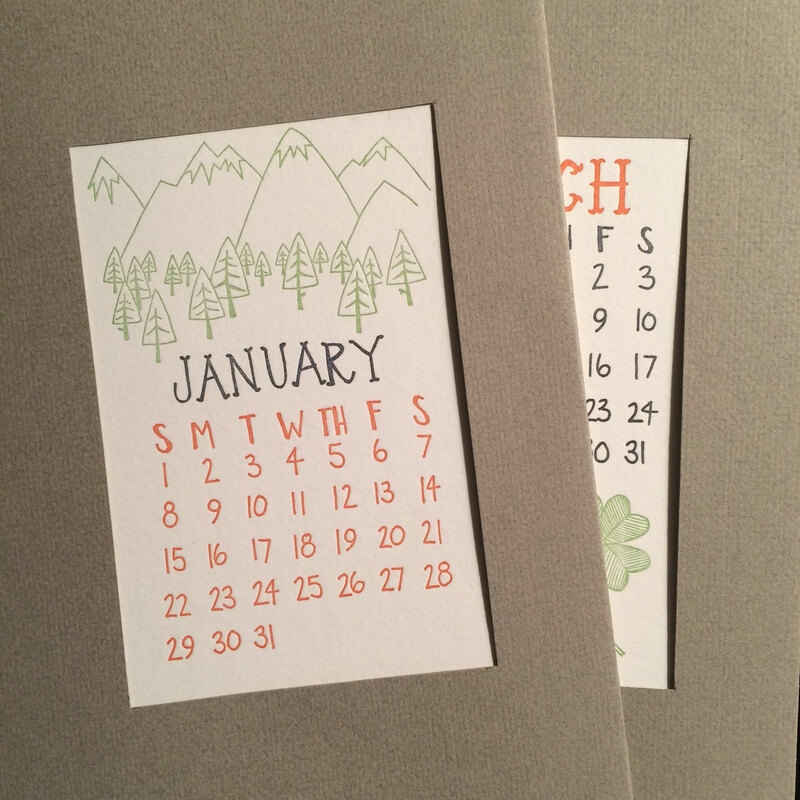 The finished size of my example is 8″ x 13″ and uses a 3.5″ x 5.5″ calendar with a month printed on each side. 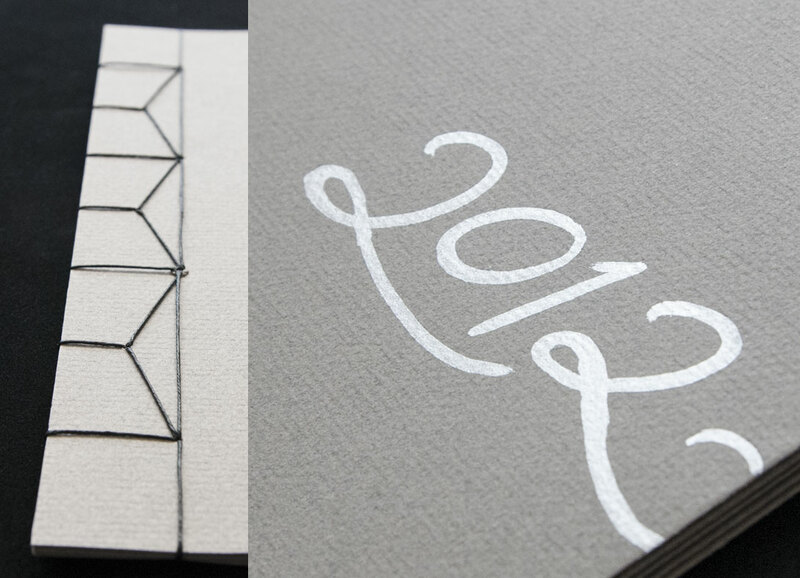 In order for each month to be visible I used a french fold for the pages, cut out windows and sandwiched the cards in-between. If you’re working with 12 separate months just adhere them directly to the page. To bind the book I used the hemp leaf style of Japanese stab binding from a Keith Smith book. An equally attractive technique would be to punch holes and bind with two screw posts. 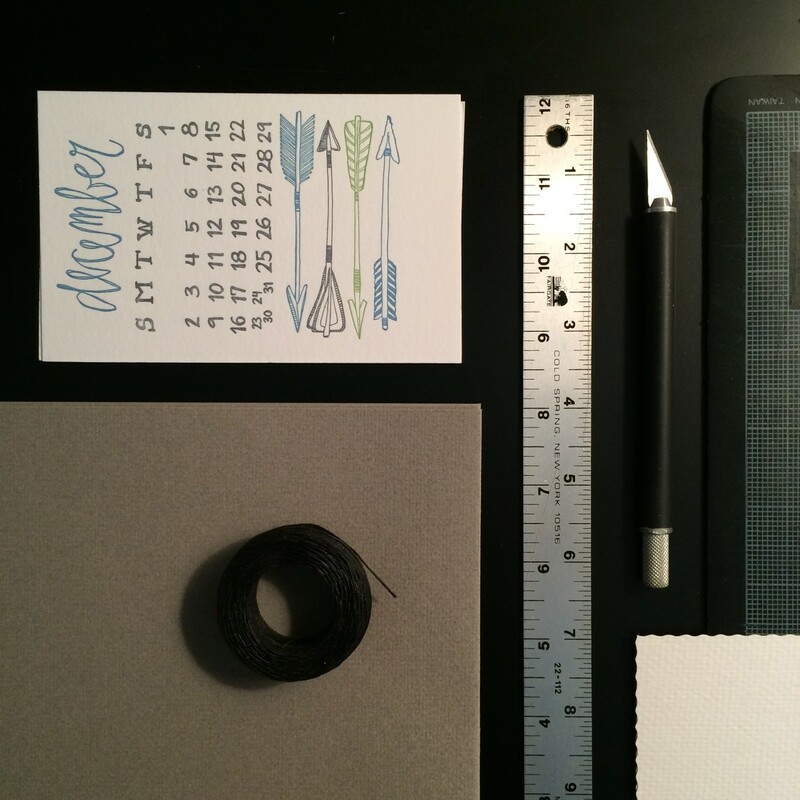 I hope this provides some inspiration for reusing your old calendars and will encourage you to support these amazing artisans! 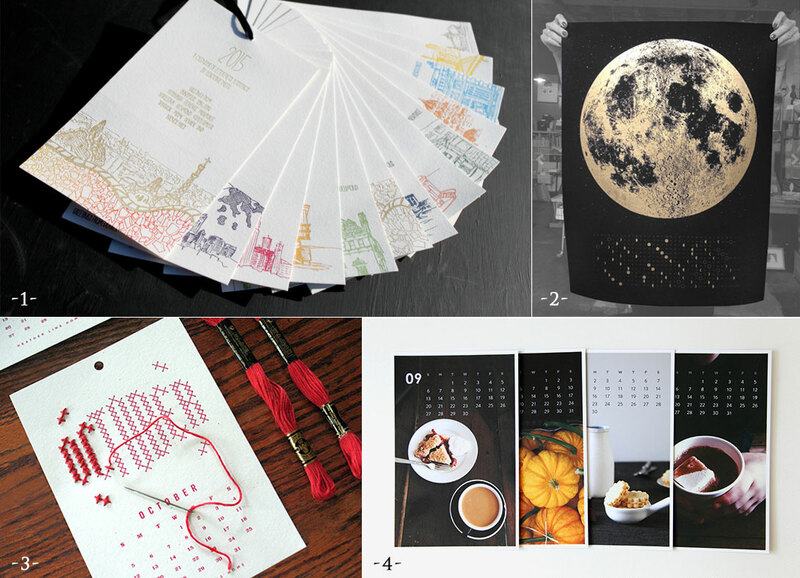 From left to right, cityscapes that become postcards from Albertine Press, a poster-sized bronze moon from Little Lark, a year in DIY stitchery from Heather Lins Home and gorgeous food photography from Whimsy and Spice. If you come across a favorite I’d love to see it. Enjoy the hunt for your next calendar!